Myrtlene Mullis Bryan Whitworth, age 87, of Douglas, Georgia passed away on Tuesday August 28, 2018 at her residence. Mrs. Whitworth was a native of Coffee County and was born on August 9, 1931 to the late Joe and Ruth Hand Mullis. Mrs. Whitworth was a retired teacher with the Coffee County Board of Education. 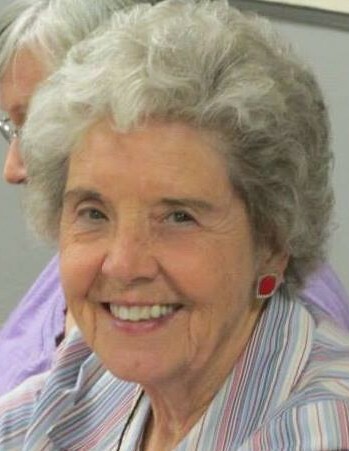 She was a member of Douglas First United Methodist Church, a volunteer with the Coffee County Regional Hospital Auxiliary and a member of Retired Education of Georgia. Mrs. Whitworth was preceded in death by her first husband, Walter C. (Jack) Bryan, second husband, Jack S. Whitworth, a brother, Milton Mullis and a sister, Maureen Peterson. Survivors include sons, Kenneth Bryan and wife Johnnie of Soperton, GA, Walter (Walt) Bryan and wife Lynda of Douglas, GA and Michael Whitworth and wife Tambra of Houston, TX; grandchildren, Ben Bryan, Maggie Bryan, Susanne Bryan Meeks, Jaden Bryan, Jansen Bryan, Roger Whitworth, Thomas Whitworth, Caitlyn Whitworth, William Whitworth; two great grandchildren, Ethan and Jase Meeks; sisters, Jo Anne Mayher and Marion Buckingham; brother, Carroll Mullis and wife April several nieces and nephews. Funeral services will be held on Friday August 31, 2018 at 11:00am at First United Methodist Church with Rev. Doug Walker officiating. She will lie-in-state from 10:00am until 11:00am. Interment to follow at Douglas City Cemetery. The family will receive friends Thursday evening from 6:00pm to 9:00pm at the First United Methodist Church. Prelude and postlude music will be furnished by Tania Myers. Congregational songs will be “Victory in Jesus” and “Amazing Grace”, “Swing Low Sweet Chariot” sung by Brad Riner. Pallbearers will be Jaden Bryan, Jansen Bryan, Joey Webster, Mike Peterson, Bill Mayher and Ben Bryan. Honorary pallbearers will be Hospital Auxiliary Members and her Sunday School Class. In lieu of flowers memorials may be made to First United Methodist Church Pre-School.